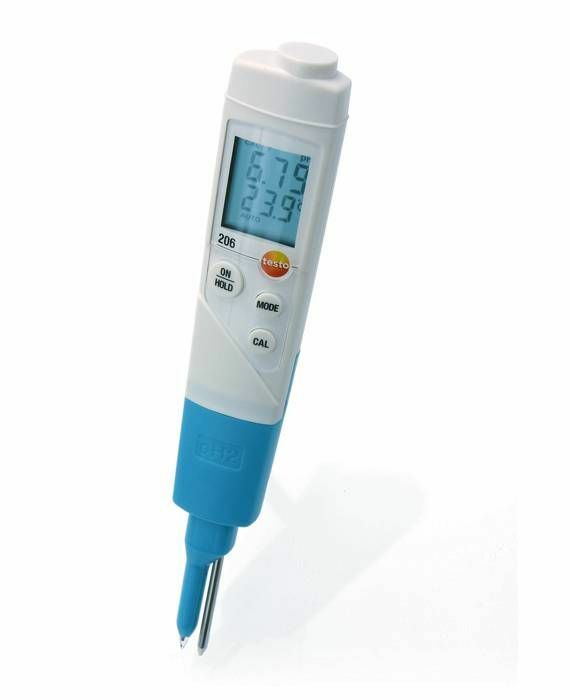 Perfectly equipped for pH measurement in liquids: the universal testo 206-pH1 pH/temperature measuring instrument features innovative probe technology. Particularly suitable for use in the food sector. The testo 206 pH2 meter allows you to measure the pH value and temperature of semi-solid media safely and reliably. Ideal for laboratories, industrial production processes and the food industry. 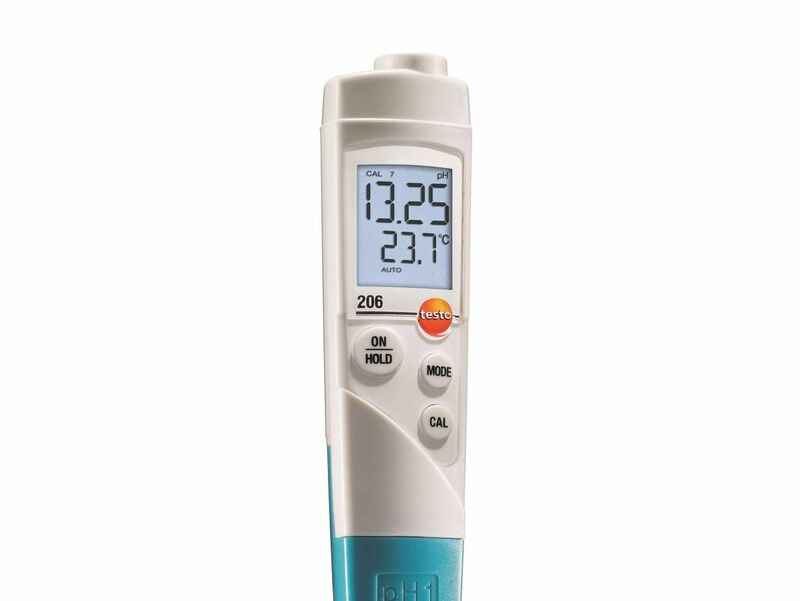 The testo 205 is a robust 2 in 1 pH and a food penetration instrument with automatic temperature compensation. The robust penetration measuring tip is interchangeable and not affected by dirt and dust thanks to the hole diaphragm. The pH tip is embedded in unbreakable plastic. 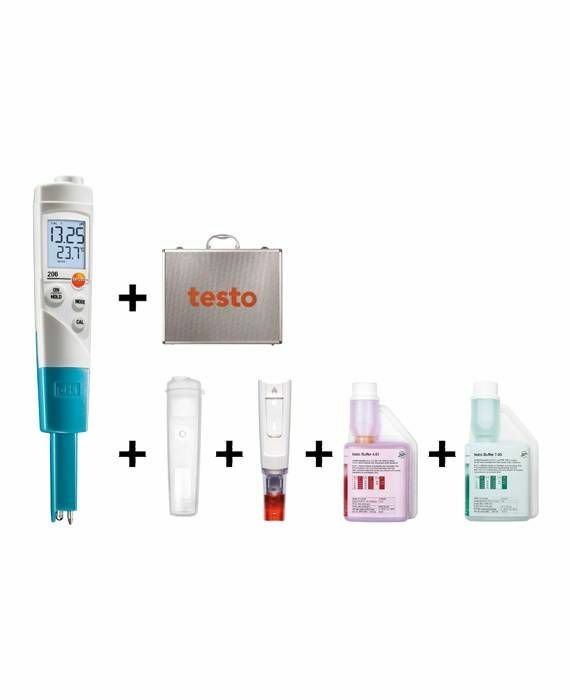 All in one package: with the testo 206-pH1 starter set, you will be ideally equipped to measure the pH and temperature in liquids (e.g. 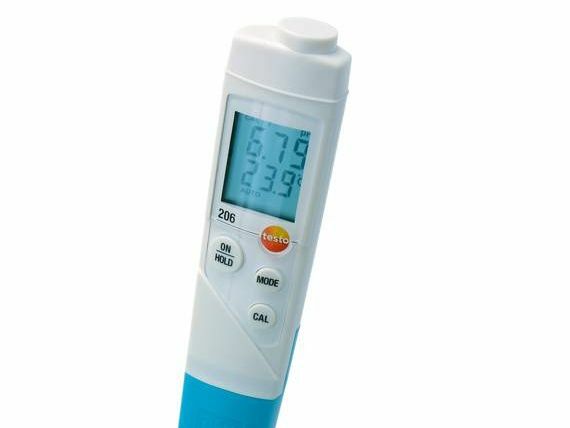 in drinking and heating water) - set includes pH/temperature measuring instrument, calibration dosing bottles, TopSafe protective case, aluminium case plus other accessories. 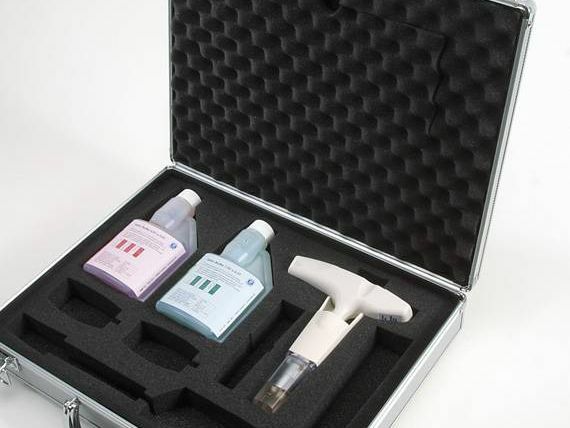 In addition to the testo 205 pH measuring instrument (including belt/wall bracket and gel storage cap), you get 2 pH buffer solutions (pH 4 and pH 7) for regular checking and adjustment, all safely stowed away in the robust aluminium case. 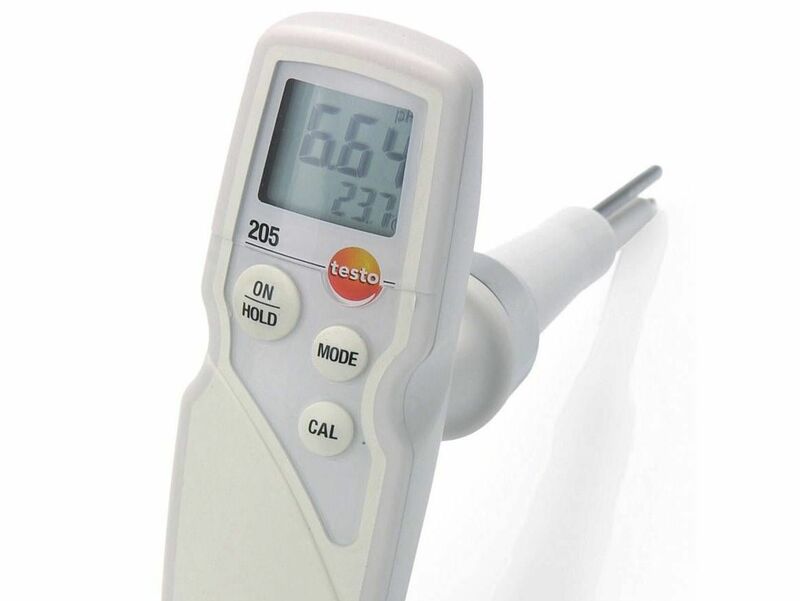 The design of the testo 205's measuring tip means it is ideal for measurements in semi-solid media, e.g. meat, cheese and dough. All in one package: with the testo 206-pH2 starter set, you will be ideally equipped to measure the pH and temperature in semi-solid media – set includes pH/temperature measuring instrument, calibration dosing bottles, TopSafe protective case, aluminium case plus other accessories.